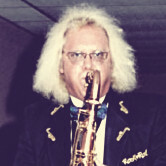 The general thrust of the article was that it is difficult to maintain the average $75,000 annual salary (plus benefits) for the members of this orchestra based on their current revenue stream, and that since management and labor have been unable to agree upon a solution, the musicians have been locked out and performances cancelled. I think this situation warrants a bit of discussion. It seems to me that if ticket sales were adequate, there would be no problem. I note with interest that it was announced this morning that the Rolling Stones had completely sold out a show in seven minutes at $650 per seat……hmmmmmm…..what’s the difference? The difference is that the Stones (and there are PLENTY of other examples) seem to be offering a musical event that consumers want to see. Symphony orchestras often have to drag patrons kicking and screaming to their performances. Why would this be? I think it is important to think of a symphony orchestra as a band with a hundred year old set list and no stage show. They almost never offer up new material, and the presentation of what they do play is as dry and sterile as possible. It doesn’t have to be this way…..they could do a lot with lighting, staging, and all the other high tech production stuff we have come to expect at rock shows, along with some new material, but THEY CHOOSE NOT TO DO SO……they would rather complain than change, and will get no sympathy from me. There’s also that pay issue……and I have some serious problems with their sense of entitlement. Sure, the soloists and featured performers should be paid top dollar…..I have no problem with that. But seriously, folks……is it REALLY worth $75,000 a year (plus significant benefits) to have 90 or so supporting musicians reading parts that can most likely be competently played by third year music school students? 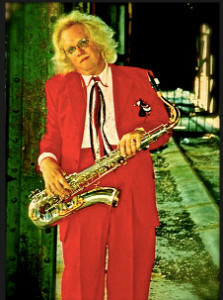 I made a very good living as a saxophone player for many years. Nobody ever guaranteed me a damn thing: what I made was what I made. In order to make top dollar (which I did), you have to offer the paying public something that they actually want to buy. There’s just not much more to it than that. Want to Talk About It? Visit Our Discussion Groups on Facebook!